… or simply E-mail us! Do you wish to settle into a fully functional office with a flexible lease contract that can change according to your future needs? Are you looking for a strategically-located area to hold your business meetings in Bordeaux? We have 8 conference rooms and several office units for rent. They are located in our Bordeaux Lac and Mérignac-Airport Business Centres. Do you wish to register your HQ’s business address in a location that strengthens your company’s image? BBS can provide you with a postal address for business and tax purposes without the extra cost of office space rental. Choose among our three domiciliation centres accredited by the Préfecture de Bordeaux. 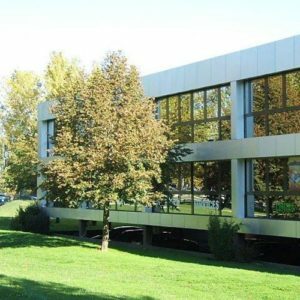 Inaugurated in 2006, our Business Centre is located in the heart of Bordeaux-Mérignac’s International Airport Hi-tech zone. It offers a stunning view of the runways and direct access to Bordeaux’s city centre through the expressway. Located around Bordeaux’s magnificent Lake area, our Business Centre is ideally situated near the Exhibit Halls, the Palais de Congrès, and the Lake area’s hotel complex. Direct access to the city centre and 20 minutes from the Saint Jean Railway Station via streetcar. 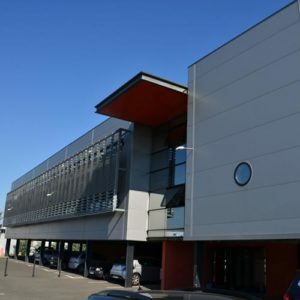 Right in the middle of Mérignac’s busy industrial zone, our Business Centre is surrounded by a great deal of commercial activity within Bordeaux’s industrial melting pot. Close proximity to the international airport and easy access Bordeaux’s expressway. 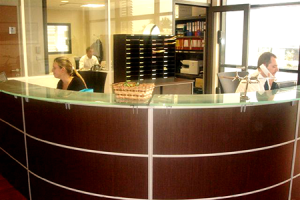 We offer reliable and fully-equipped office rental solutions that can be adapted to your current and future needs. Choose among our 3 strategically-located Business Centres in Bordeaux. access to advantages offered through our network partner TBC Team business centers. Our clients include local and international companies. Our domiciliation and telephone operator services are also very attractive to start-ups as well as small-to-medium-scale enterprises. Whether virtual or workspace, you can rely on our expertise brought about by years of experience to help you set-up your office. You will also benefit from our affiliation with TBC Team business centers, an international business centre network renowned for its credibility and success. Since 2008, our AFNOR accreditation as well as our SYNAPHE trade union membership attests to our dedication to the highest standards in our profession. Are you looking for a strategically-located area to hold your business meeting in Bordeaux? 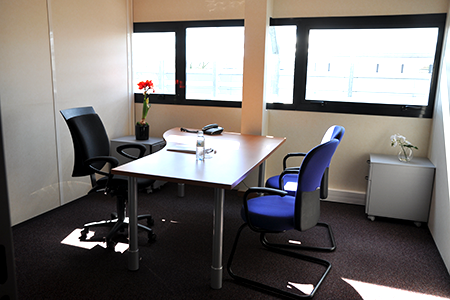 We have 7 conference rooms and several day office units for rent located in our Bordeaux-Lac and Mérignac-Airport Business Centres. Our network partner TBC also offers more than 500 conference rooms throughout France and Europe. Do you wish to register your HQ’s business address in a location that strengthens your company’s image? BBS can provide you with a postal address for business and tax purposes without the extra cost of office space rental. Choose among our three domiciliation centres accredited by the Préfecture de Bordeaux to guaranty your business registration with the Greffe du Tribunal de Commerce de Bordeaux (Commercial Companies Business Registry). We have a team of experienced professionals well-versed in the registration process (otherwise and popularly known in France as “domiciliation d’entreprise”). Our team is ready to assist you in every step of your business registration in the region. In choosing BBS, you gain access to services offered by our Business Centres, including day office or conference room rentals as well as secretarial services. Situated in the heart of the Airport’s Business Hub, our Business Centre offers a stunning view of the runways. A hundred metres from Mercure Hotel and only 300 meters from the airport’s gates, and a direct access to Bordeaux’s city centre via the expressway. Located in a new building called Le Lindbergh, it has centralized air-conditioning and heating, a private elevator and reserved parking spaces for clients. We also offer secure high-speed internet connection provided by our in-house IT support team. Free WIFI to all our resident clients. 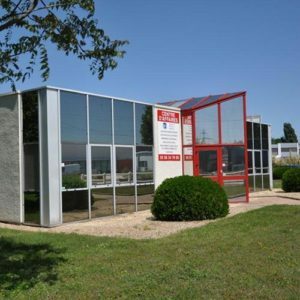 Situated in the vicinity of Bordeaux’s historical Lake area, our Business Centre is easily reached from the Saint Jean Railway Station via streetcar (Tram Line C “Les Aubiers”). Our offices are located in close proximity to Bordeaux’s Exhibit Halls, the newly-constructed Palais de Congrès and a stone’s throw away from the Lake area’s hotel complex. A 5-minute streetcar ride will take you to Bordeaux’s city centre and 20 minutes to the St. Jean Railway Station. Direct access to and from the expressway by car. Our clients, include, among others, training centres and business development specialists, appreciate the Centre’s location and its easy access via public transportation as well as its walking-distance proximity to restaurants and hotels. 60 workspaces with a view of Bordeaux’s lake and surrounding greenery. 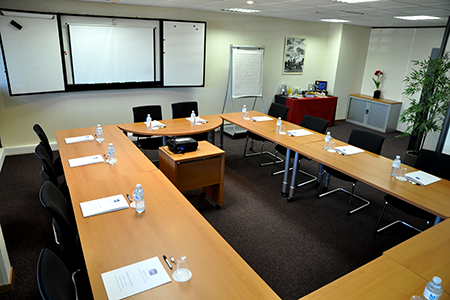 We offer fully-equipped office spaces and a spacious conference room that can accommodate up to 20 persons. We also provide a secured high-speed internet access. Our IT support team will take care of all the necessary installations to provide our clients with a connection to our internal server with VPN security. If you are looking for logistics to suit your storage needs, our Business Centre is well equipped to receive all sorts of delivery sizes as well as secured storage facilities.